The Bureau will be part of the Proteus Gowanus Artists in Residence Show, opening Thursday July 6th. Here's a chance to read some of the voyager's notebooks and meet friends of psychogeographic travel. Along with the Bureau, the show will feature Proteus Gowanus' other recent artists in residence: Lado Pochkhua and Eben Kirksey. The results of all three residencies will be on display, and we'll be there to share a glass of wine with you. The exhibition will be on view through July 14. Open Thursday & Friday 3-6pm, Saturday & Sunday 12-6pm. The Bureau's Psychogeographic Destination Kits contain everything you need to start your own voyage to an unknown destination. Download yours free here [pdf]. All travelers are welcome and encouraged to keep sending notebooks, images, video, words, commentaries, bits of paper, etc., to the Bureau by envelope, email or in person. Curious about the experiences of other travelers? 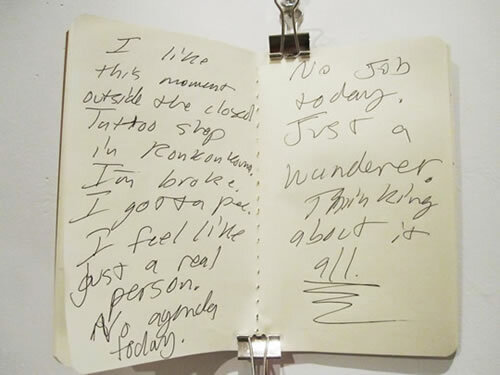 Ayun Halliday made a zine from her adventures in Patchogue and is selling it on Etsy. Sean Curry described his trip to Beacon in The Inclusive (Part One: The Sense of Adventure, Part Two: Looking for a Beacon). 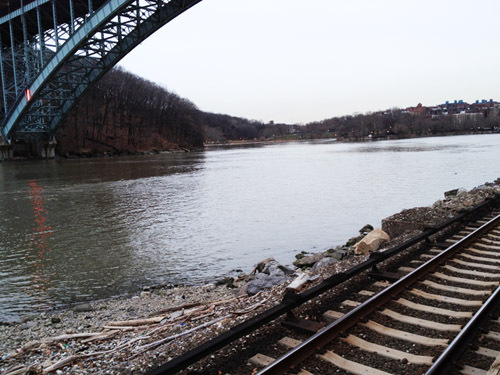 Bradley Cohen told the story of his day in Oyster Bay on the BBC Travel Blog. Michael Castillejos made a video essay of his trip to Babylon. Notebook images above: Jessica Harrison & Russel Geler's trip to Glen Cove (top) and Giorgio's trip to Ronkonkoma (below). 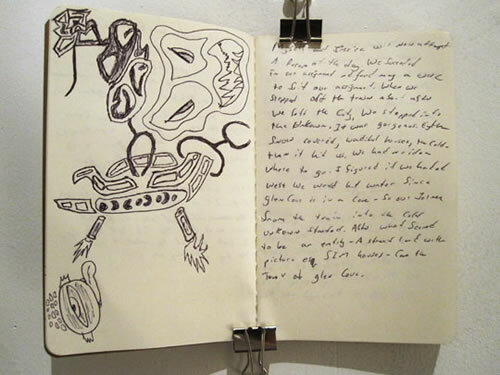 These and other notebooks will be on view in the show at Proteus Gowanus July 6-14. 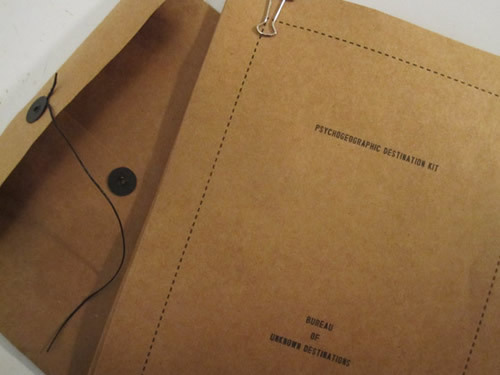 Download your Psychogeographic Destination Kit [pdf]. Sign up for the Bureau of Unknown Destination Newsletter. From January through April, 2012, the Bureau of Unknown Destinations offered temporary displacements to members of the public seeking to experiment with their migratory impulses.The Bureau distributed free round trip tickets for train adventures: day trips which began with the tearing open of a sealed envelope, revealing the mystery of where the traveler would find themselves by noon. The Bureau provided the opportunity for voyagers to set forth, free of decisions, into the great (or perhaps, in this case, the small) unknown. To test their sense of destiny. To have lunch someplace new. Having given away 100 tickets, the Bureau moved into a new phase, developing Psychogeographic Destination Kits, which we invite you to test. Download your kit [pdf]. 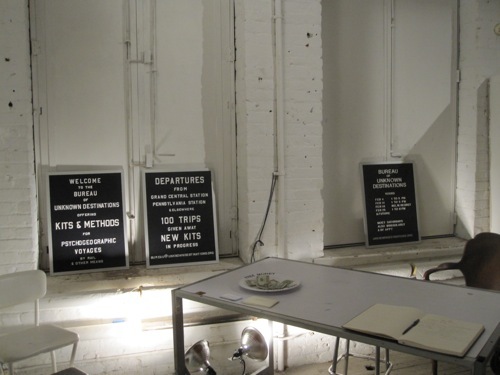 The Bureau of Unknown Destinations was part of a three month artist's residency by Sal Randolph at Proteus Gowanus, extending through the beginning of April. Proteus Gowanus is an interdisciplinary gallery and reading room located on the shores of the Gowanus canal in Brooklyn. Their yearlong theme is Migration. For updates, events, and future Bureau openings please return to unknowndestinations.org, sign up for the Bureau of Unknown Destination Newsletter, or contact bureau [at ] unknowndestinations [dot ] org.